A knife is a chef's best friend. Chefs know a good knife is actually an extension of their hand, but it takes a lot of practice to get that confident with a knife. That's why The Chopping Block has been teaching Knife Skills classes since we opened our doors almost 20 years ago. We've taken that knowledge and created this guide for home cooks that includes highlights from that class as well as lots of videos to help you along the way. What knives you really need to have in your collection. This guide also includes recipes that you can use to practice different knife cuts. Our chefs have selected these recipes because not only are they delicious, they provide opportunities to help you hone your skills. Whether you are starting from scratch or need a refresher on using your knives, this free guide will help you understand that working with knives properly will help you be a better home cook. 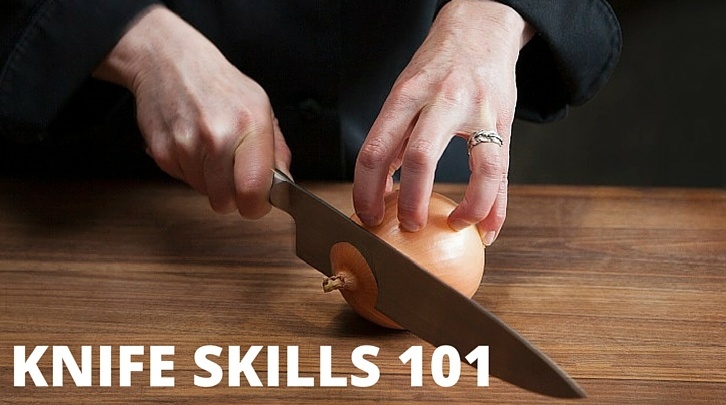 Just fill out the form to download our Knife Skills 101 Guide.